The Barracuda Message Archiver helps organizations reduce email storage requirements, meet demanding compliance requirements, and address e-discovery requests easily and effectively. Integration with the Barracuda Cloud provides secure long-term email storage and backup, and end user productivity increases with access from any device to every message ever sent or recieved. The Barracuda Message Archiver is a fully integrated and cloud-connected archiving solution for Exchange, Office 365 and other email services, and is available as a hardware appliance or as a virtual solution for private or public cloud. It can mirror data to the Barracuda Cloud for secure long-term retention and storage, or to facilitate disaster recovery. Email server storage demand is dramatically reduced using the Barracuda Message Archiver full message compression, deduplication, and stubbing, keeping end users within storage limits and eliminating the need for PST files. Granular retention policies ensure that original data is kept for as long as needed without risk of amendment or deletion, and end users are able to recover any message ever sent or received. Barracuda Message Archiver's fully indexed archive, iterative multi-level search capabilities, and legal hold support complex audit and discovery exercises, with federated search supporting data across multiple appliances and the Barracuda Cloud. An intuitive role-based user interface gives secure access and shortens the response time to find specific messages when needed, while comprehensive audit trails make compliance easy to demonstrate. Retain and retrieve all email communication while reducing storage requirements. The Barracuda Message Archiver is ideal for organizations looking to reduce their email storage requirements and boost user productivity with mobile or desktop access to any email ever sent or received. The cloud-connected appliance uses the Barracuda Cloud to move information to the cloud as a secondary tier of storage. In addition, the Barracuda Message Archiver also provides a powerful, yet simple platform for eDiscovery and compliance. Budgeting is predictable with our simple pricing model. With no per-user or per-mailbox fees, the Barracuda Message Archiver often costs less over time than many online archiving services that are initially free to use. Comprehensive reporting makes it easy to project future storage needs. The Barracuda Message Archiver reduces expensive storage needs of email servers, extending server life while reducing costs. By eliminating the need for users to archive their emails locally with PST files, IT has more control over message tracking and retention. Intuitive search and full-featured message management via a web browser, Outlook Add-in, PC, Mac, or mobile device enhances user productivity with self-service access and recovery of any message ever sent or received, even if deleted on the email server. The Barracuda Message Archiver has comprehensive indexing, permissioning, search, legal hold, audit, and export capabilities that help accelerate and simplify eDiscovery requests. 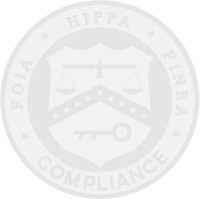 The appliance is purpose-built to support compliance with laws and regulations that require message archiving and retrieval, such as SEC 17a-3/-4, PCI DSS, FINRA, FOIA, and HIPAA. The Barracuda Message Archiver offers flexible and full-featured mobile applications for Android and iOS devices, allowing users to use their mobile device to search, download, and respond to any email ever sent or received, even if deleted from the server. Because all email is indexed, search is often much faster than typical native mobile email applications and provides a much higher search success rate. Users can forward, reply, or resend email to themselves. The Barracuda Message Archiver employs Exchange Stubbing to help reduce size of the Exchange Information Store. Messages and attachments removed from the information store are kept on the Barracuda Message Archiver for easy access, which helps organizations minimize their Exchange storage to reduce costs, shrink Exchange backup windows, and simplify Exchange management. One major challenge for IT in typical organizations is lack of visibility and control of users' local message archives in the form of PST files. The Barracuda Message Archiver helps consolidate user PSTs into a single searchable location. PSTs can be uploaded directly into the Barracuda Message Archiver by administrators, end-users, or the automated PST Collector. Barracuda's PST Collector scans the organization's entire network for PST files and assigns the imported PST files to the correct user. In addition to storage reduction, another reason to archive email is for eDiscovery. The Barracuda Message Archiver offers customizable email retention rules and allows organizations to designate an auditor(s) to apply litigation holds on specific information. Litigation holds preserve the data from being tampered with until the litigation hold expires or is removed. The Barracuda Message Archiver uses single instance storage, a form of deduplication for both new and older messages. This minimizes both expensive tier-1 storage for email servers and backup windows needed to protect email data. The Barracuda Message Archiver can collect historical data from multiple sources, from production or legacy email servers. With Exchange integration, organizations are able to import contacts, calendars, tasks, and journal entries. The Barracuda Message Archiver is also able to import public folders from Microsoft Exchange. Users can easily export messages back to their mail server via their standard web interface and IT administrators and auditors can also export messages either in standard formats or to Barracuda's Copy file sync and share platform. The Barracuda Message Archiver offers easy-to-use search capabilities, ranging from the most basic search by a user for a misplaced email to advanced Boolean search strategies for an auditor during an eDiscovery request. The Barracuda Message Archiver stores archived email in a standard email format, so organizations can easily export the stored archived data to PST or .eml format. The desired content can also be forwarded to an Exchange server. Effective management of data requires good information reporting. The Barracuda Message Archiver provides comprehensive reports on archiving activity, cost savings, and projected storage growth to help IT optimize how their infrastructure is used and deployed. The Barracuda Message Archiver uses journaling support to capture a real-time copy of all email, supporting standard compliant servers, e.g., Exchange, Office 365, Google Apps, Groupwise, and other solutions that support SMTP or POP. The Barracuda Cloud Relay Service is used as a secure interface to relay mail that was journaled in Microsoft Office 365 or the Google Apps hosted mail service to the Barracuda Message Archiver, allowing local archiving of cloud email applications to reduce costs and enhance security and access. The Barracuda Message Archiver offers organizations a powerful Microsoft Outlook Add-in that gives end users easy access to archived mail and enables manual stubbing of email items. The Barracuda Message Archiver offers organizations running Windows or Mac operating systems an easy-to-use search tool that allows the end user to find historic or current mail. All-in one hardware or virtual appliance. The need for email archiving is growing. Today's organizations are more frequently asked to keep, access and deliver their comprehensive libraries of all sent and received email messages. Due to strict compliance and litigation support guidelines, administrators often need features that enable quick and secure delivery of past emails and a message audit history to address legal scrutiny. From an operations perspective, email archiving provides the ability to ease the strain on physical storage by moving emails off the email server without sacrificing access to the messages. The Barracuda Message Archiver is a complete and affordable email archiving solution, enabling you to effectively index and preserve all emails, enhance operational efficiencies and achieve regulatory compliance. Leveraging standard policies and seamless access to messages, email content is fully indexed to enable administrators, auditors and end users quick retrieval of any email message stored in an organization's email archive. Its integrated hardware, software, and storage design enables quick deployments. Available in seven models to customize to an organization's needs, the Barracuda Message Archiver can be used to securely archive for organizations of all sizes. This basic deployment configuration involves simply placing the Barracuda Message Archiver off to the side of the Microsoft Exchange server. 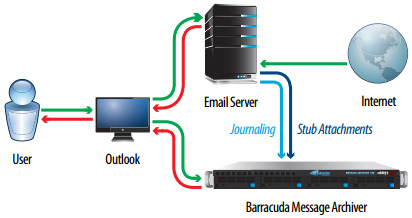 Email messages marked for journaling by the Exchange server are captured by the Barracuda Message Archiver before delivery to end users. In this deployment mode, historical emails already stored on the email server, prior to enabling journaling, can be imported into the Barracuda Message Archiver using Microsoft's Message Application Protocol Interface (MAPI). When journaling on your email server is not an available or practical option, you can use a combination of the Barracuda Message Archiver and the Barracuda Spam & Virus Firewall to capture both external and internal emails via SMTP. To capture messages sent from external Internet users, you can leverage the journaling capabilities of the Barracuda Spam & Virus Firewall to copy messages to your Barracuda Message Archiver. To capture messages sent from inside your organization, you can configure internal email clients to use the Barracuda Message Archiver as their SMTP relay that would be placed in front of your internal email server. With multiple modes of deployment, getting started with email archiving is easy. Emails can either be pushed to the Barracuda Message Archiver via SMTP, or the Barracuda Message Archiver can pull emails via standard email access protocols. It can also be deployed in conjunction with the Barracuda Spam & Virus Firewall, leveraging its capabilities to journal inbound and outbound email. The Barracuda Message Archiver is designed to integrate with all standards-based email servers for deployment flexibility. The appliance can be deployed in both journaling-capable and non-capable email server architectures. Comprehensive Archiving Live Archiving and Historical Imports. The Barracuda Message Archiver enables organizations to capture both live and historical emails. Historical messages can be retrieved from the mail server using MAPI. Journaling-capable mail servers can create an extra copy of live emails for storage in the archives. Archiving email and non-email content is important for ensuring regulatory compliance and litigation support while providing full operational functionality for users. Appointments, contacts, notes, and tasks are among the non-email Microsoft Outlook items that are archived on the Barracuda Message Archiver. The Barracuda Message Archiver enables organizations to have complete usability with its archived emails by maintaining a user's folder structure. Through the web user interface, all of the folders can be viewed, accessed and searched. With the Microsoft Outlook Add-In tool, users can conduct folder-specific searches. PSTs create challenges for organizations attempting to meet litigation and compliance requirements as well as those attempting to build robust email architectures. PST fi les can be uploaded into the Barracuda Message Archiver, creating a single instance across an organization while enabling mail server backup, search, and compliance. A PST Collector tool is also available to automate the identifi cation and collection of PSTs residing on local drives. Organizations that are reaching the limit on their email server disk space can immediately alleviate their storage pressures through Exchange stubbing. Message attachments are moved to the Barracuda Message Archiver and can be seamlessly accessed via a link to the storage archives. Organizations have full control by customizing how and when messages are stubbed. Users can also unstub attachments enabling full offline access. Users are no longer required to hold redundant emails in storage. The Barracuda Message Archiver intelligently removes duplicate emails and attachments from a message thread, ensuring only one copy is stored in the archives. In a business environment that often uses email to deliver content through attachments, this drives signifi cant storage benefi ts. To maximize storage capacity, the Barracuda Message Archiver compresses content before it is placed in the archives, increasing an organization's eff ective email storage capacity. Compressing email content provides a cost-effective alternative to additional investments in high-cost transactional storage. With simple setup through the web administrative interface, two or more Barracuda Message Archivers can be clustered to reduce the risk of mail loss due to unforeseen circumstances and unplanned disasters. Using role-based administration, access privileges are organized in three tiers. As an administrator, auditor or user, unique access rights enable organizations to meet regulatory and litigation support requirements while enabling active use of archived emails. Users can access and create searches for personal messages in the archive. IT administrators can perform administrative duties on the Barracuda Message Archiver without having access to archived messages. Auditors can view, track, and monitor messages in the archives or those for a specific domain. The web user interface conducts quick full-text searches based on tags, header fields or message content. Users can easily search the message store, view emails in its original folder hierarchy and forward them to active mailboxes. Search criteria can be aggregated in order to isolate a granular set of data. The Microsoft Outlook Add-In enables users to search, view, and take action on archived messages, while managing Exchange stubbing directly from the Microsoft Outlook interface. 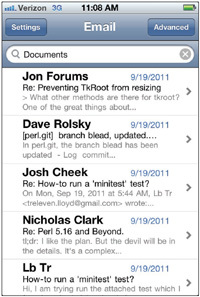 The Barracuda Message Archiver iPhone app further enables users to access their archived email while in mobile environments. 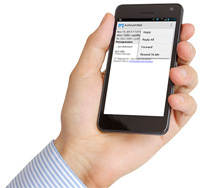 Users will experience true mobility as the app extends the functionality of archived email. Centralized control with Barracuda Control Center. The Barracuda Control Center is the centralized management platform for all Barracuda Networks products. It acts as the centralized policy decision point, while the Barracuda Message Archiver acts as the point of implementation. The Barracuda Control Center enables administrators to have an aggregated view of the distributed network via a centralized console. This console provides full reporting on data from all of the enforcement endpoints. Whether to comply with government regulations or to maintain company records, the Barracuda Message Archiver enables organizations to set customizable archiving policies. Organizations are empowered with the ability to defi ne content, header and attachment-based policies. Litigation holds can also be defi ned for specifi c user mailboxes. Compliance and corporate policy monitoring. The Barracuda Message Archiver enforces corporate policies by monitoring and reporting on behaviors such as the use of foul language or the transmission of sensitive personal information. Organizations can also set customizable policies to monitor the use of email communication. Alerts are delivered to administrators to enable real-time monitoring and immediate action. Litigation readiness and discovery process. By using the powerful search tools in the Barracuda Message Archiver, auditors and email administrators can easily sort through an email archive to compile relevant messages based on keywords, dates and sender/recipients into an exported file. Further, pinpoint searches for content can be conducted by aggregating search criteria. Access to records and related policy violations can be readily compiled and delivered to legal counsel as requested. Organizations have instant provability with the Barracuda Message Archiver. An audit log provides a history of all actions taken on the archives including data exports, retention policy updates and confi guration changes. With the ability to conduct searches by time interval, user and action-type, an organization can quickly provide evidence of the robustness of the content in its archives. Based on the Linux open source kernel, the operating system is hardened for maximum security and stability. In addition to internal testing, Barracuda Networks credits the "white hat" research community which continually works with security vendors to uncover and resolve potential vulnerabilities. While the vast majority of Barracuda Message Archiver technology is proprietary, Barracuda Networks does leverage secure and functional open source alternatives whenever possible. The Barracuda Message Archiver is designed to satisfy the diverse needs of small and medium businesses, large enterprises, educational institutions and government agencies. The policy management engine supports both global organizational policies, as well as those designed for a subset of its users or email communication. Policies can be set on the content in emails as well as the message body and its headers. Based on the Lucene open source engine, the Barracuda Message Archiver effi ciently indexes all emails and enables users to conduct full-text searches on the message store. Users can then quickly search, view and forward emails that are located in the archives. The Barracuda Message Archiver is designed with role-based administration. The system ships with multiple built-in roles to provide administrator, auditor and user access to meet regulatory compliance, litigation support and operational requirements. The Barracuda Message Archiver's extensive logging and reporting capability empowers administrators and auditors to monitor the performance of the appliance while ensuring all regulatory and litigation requirements are fulfi lled. The built-in reporting engine provides summarized reports on the deployment. The audit logs provide auditors with the confidence that the data has not been tampered with and can be upheld in court. Built-in storage and redundancy is provided through internal or external mirroring as well as swappable drive trays that enable added control and email management across the organization's network. This allows you to move emails from costly transaction-based storage required for production email servers to less expensive storage options. In order to enable optimal performance for users, the Barracuda Message Archiver includes access to archived email through a web user interface, Microsoft Outlook Add-In and iPhone application. The Barracuda Message Archiver and Barracuda Backup prove two storage solutions are better than one for cutting storage and labor costs. If left unchecked, the data your organization stores will grow until your storage and staff can no longer handle it. Instead of paying for more storage and overtime, use the Barracuda Message Archiver and Barracuda Backup to reduce your organization's data to a fraction of its current volume and manage the flow of new data needing storage. To discover how you can transparently reduce data storage, it first helps to understand your data. Microsoft Exchange and Outlook generate lots of duplicate data. When a user sends an email, the email server stores a copy. Outlook stores copies of the same email on the sender's and recipient's computers in PST files. Thus, one email results in three stored copies including any attachments. A routine network backup also stores these copies and their attachments. Group emails multiply the storage of duplicate emails and attachments several more times. Given the number of emails sent daily in an organization, duplicate emails build up on email servers and users' computers, fueling a huge growth of data stored downstream in network backups. In parallel with email, networks also contain lots of duplicate data. The servers in your network contain duplicate copies of the same operating systems, applications and other software that find their way into backup storage. Besides duplicate software, a network can also house a significant volume of extraneous data such as users' music and video files that don't need to be protected by the backup for business continuity. Before delving into how the Barracuda Message Archiver and Barracuda Backup control storage, it helps to understand their different functions. Organizations need to keep emails in long-term storage for litigation and HR discovery requests as well as to comply with data-security regulations. Archiving stores email for the long term. However, it doesn't collect other network data needed for disaster recovery. Conversely, a backup system takes snapshots of the whole network's data at a point in time for recovery in case of a partial or catastrophic failure. But, backup doesn't retain emails deleted between backups. While Barracuda Backup is one of the few backup systems that offers policies for long-term data retention, it isn't designed to optimize email storage. Together, the Barracuda Message Archiver and Barracuda Backup provide complementary long term and point-in-time storage with features that optimize data storage on two tiers. The Barracuda Message Archiver and Barracuda Backup work particularly well in tandem to optimize data storage because they both eliminate duplicate data and compress data before storage. This has an additive effect. At installation, the Barracuda Message Archiver crawls the network to import emails from PST files in users' computers. The PST files can then be deleted. You can prevent new PST files from being created through Exchange. Eliminating PST files yields a large reduction in data stored on desktops, which results in significantly less data entering the backup. In addition to deduplicating emails, the Barracuda Message Archiver stores only one instance of each attachment. The Barracuda Message Archiver replaces an attachment (that might be duplicated in hundreds of emails) with a link in emails to the attachment called a "stub." Stubbing also massively reduces the amount of data stored in the archiver and backup. With messages deduped and stubbed, the Barracuda Message Archiver aggressively compresses the remaining email data for maximum storage efficiency. Like the Barracuda Message Archiver, Barracuda Backup deduplicates network data such as redundant operating systems and applications. It then compresses the single-instance data before storage offsite in public or private clouds. Barracuda Backup also has policy options to exclude file types such as music and video files. By itself, Barracuda Backup has been shown to reduce the amount of backup data stored by 20 to 50 times compared to tape backups. By combining an email storage solution- the Barracuda Message Archiver-into your backup strategy, you can further reduce the volume of backup data that would otherwise be stored as duplicated, uncompressed email-server files and PST files. After the initial reductions in stored data, Barracuda Backup and Barracuda Message Archiver continue to minimize the growth of storage through ongoing deduplication and compression. 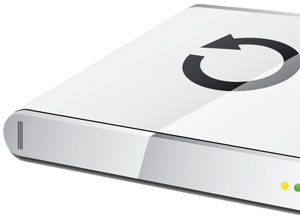 Without managing storage, the length of backup windows will expand as does the time it takes to label and rotate tapes. Not only do Barracuda Backup and the Barracuda Message Archiver shorten backup windows by reducing the amount of data being stored, by not using removable media and with built-in policies, they can fully automate archiving and backup to save costly staff time. For further time savings and convenience, Barracuda Backup and the Barracuda Message Archiver are easy to centrally manage through Barracuda Cloud Control. What is the Barracuda Message Archiver? What are the benefits of email archiving? The Barracuda Message Archiver captures and stores all sent and received emails throughout an organization. With the growing need to be litigation ready and regulatory compliant, the Barracuda Message Archiver enables an organization to enforce corporate and compliance regulations by capturing all email, providing quick email retrieval, and alerting internal and external auditors of potential email policy violations. As email storage requirements continue to increase, the Barracuda Message Archiver also reduces storage requirements by removing duplicate instances of messages and by compressing stored messages. In addition, the Barracuda Message Archiver can reduce costs by transferring email from your email servers' higher-cost transactional storage systems to lower-cost archival storage systems. Can't I just use PST files or backup my email server? 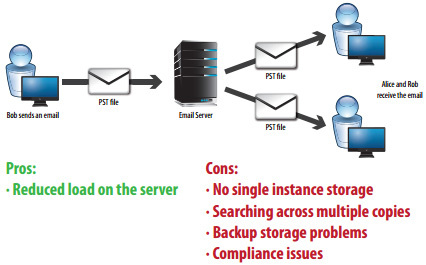 No global searches: PST files stored on users' computers and email stored in backup systems result in distributed systems being searched separately, instead of one search of one central archive. Using a tape backup system further increases the difficulty and time involved in retrieving messages. Not all messages are retained: Neither email server backups nor PST files help you comply with regulations or legal requirements for retaining all emails. Emails can be deleted before being stored in a PST file or being backed up. Inefficient storage and difficult retrieval: Individual users storing emails in PST files results in duplicate messages that waste disk space. While email server backups can reduce redundant use of disk space, retrieving emails from backups can be extremely time consuming. Hidden costs: Primary storage and backup storage is filled up with PST files creating longer backup windows along with additional disk/tape requirements. The Barracuda Message Archiver is able import, index, deduplicate, and compresses mail from PST files. The Message Archiver then stores them in a central location purpose-built to preserve all messages over time. This makes global message search and retrieval quick and easy in support of regulatory and litigation requirements, regardless of how old the messages are. 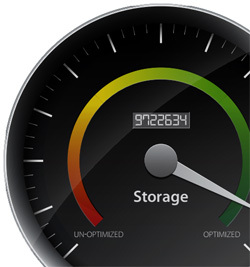 This comprehensive approach to archiving optimizes storage at the same time. Why should I deploy a message archiving appliance such as the Barracuda Message Archiver? The Barracuda Message Archiver represents a unique combination of powerful features, ease of deployment and a compelling price point that does not entail any separate license fees per user, per mailbox or per email server. Unlike software-only solutions, the Barracuda Message Archiver deploys in minutes without the need to obtain or integrate separate hardware, operating system licenses, SQL database servers and archiving software. Unlike external hosted services, the Barracuda Message Archiver enables messages to be retained within an organization's physical and network security systems. Organizations can generally achieve greater network traffic performance by accessing message stores on fast internal links rather than over public Internet connections. What email servers are supported? Designed with flexibility in mind, the Barracuda Message Archiver supports email servers that offer journaling as well as those that do not. For deployment with email servers that don't support journaling, Barracuda Networks recommends deploying the Barracuda Message Archiver in conjunction with the Barracuda Spam & Virus Firewall. Can I deploy the Barracuda Message Archiver with the Barracuda Spam & Virus Firewall? Yes. The Barracuda Spam & Virus Firewall is the ideal complement to the Barracuda Message Archiver, especially for use with email servers that do not support journaling. The Barracuda Spam & Virus Firewall supports its own journaling feature that enables copies of messages to be sent directly to the Barracuda Message Archiver. While the Barracuda Spam & Virus Firewall protects organizations from spam, viruses, spoofing, phishing, spyware and other email-borne threats, the Barracuda Message Archiver indexes and stores all of an organization's emails for quick retrieval, policy monitoring and storage efficiency. What are the benefits of the Barracuda Message Archiver for an email administrator? What are the benefits for an end user? What can an auditor do? The greatest benefit for an email administrator is the ability to achieve greater messaging efficiency by reducing the information storage load on production email servers. In addition, administrators are prepared to easily satisfy requirements from litigation holds or discovery requests with the powerful and affordable Barracuda Message Archiver. End users benefit by having a global repository for their current and archived emails, eliminating the hassle of managing storage quotas set by email administrators thus creating a comprehensive knowledge management tool. The Barracuda Message Archiver also enables seamless access to all email and provides powerful searching capabilities. Auditors reap the benefits of both administrator and end user features, while maintaining a history of accessed emails for any future litigation or compliance inquiries. Using the same Web user interface, an auditor can quickly and easily access emails of all users through the Archive Search tool and run reports for monitoring activity and data usage. How does the Barracuda Message Archiver index email? 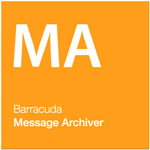 The Barracuda Message Archiver fully indexes email based on sender, recipient, received date, created date, subject line, size, attachments, importance, words and phrases in the message body, and contents of attachments. Email can be tagged for in-depth searches for legal discovery, regulatory compliance, or for efficiently sorting large repositories of email. How does the Barracuda Message Archiver monitor policies? The Barracuda Message Archiver ships with a standard set of policies for monitoring content such as foul language, personal ID information, job search web sites and other categories. Administrators can also create custom policies to monitor use of selected keywords. Upon installation, administrators can immediately begin monitoring for content policy violations and store offending email for auditors if desired. Auditors can also create custom policies to address specific requirements. For instance, a physician's office may need to personalize a standard policy to fully comply with the HIPAA. The Barracuda Message Archiver can also conduct ad hoc searches using the archive search tool. What kind of reporting capabilities are present? The Barracuda Message Archiver starts with a basic set of reports that provide a high-level view on the status of the system and global email archive. Email administrators and auditors can track the growth of the email archive, maintaining a pulse on the rate of usage and scale as needed. Another report compiles the current audit trail of the global email archive for legal counsel and administrators to conduct regular reviews. The Barracuda Message Archiver can also report on policy violations to monitor individuals and act on any potential risk and liability. Lastly, individuals can run reports to monitor the integrity of their personal archive. How does the Barracuda Message Archiver address and assist administrators with fulfilling compliance requirements? Compliance regulations are a growing aspect of a system administrator's duties, requiring email retention and retrieval of all communications. Popular government regulations include, Federal Rules of Civil Procedures (FRCP), Sarbanes-Oxley (SOX), and HIPAA that require organizations to provide data permanence, security of data and the ability to audit archived email. For FRCP and SOX, the Barracuda Message Archiver ensures all email sent and received by a company is stored, searchable, tracks access records and can be delivered in a timely manner in easily-accessible file formats. For HIPAA requirements, the Barracuda Message Archiver offers preset policies that alert the administrator and/or auditor when personally identifiable information, such as social security numbers, is transmitted in clear text. How does the Barracuda Message Archiver help with a litigation holds or discovery requests? When involved in litigation, legal counsels request a "litigation hold" on all paper and electronic communications related to the case so they can produce documentation during the proceedings. Similarly, in a discovery request, corporate legal counsel and the opposing party will request that all paper and electronic documents pertaining to the case be shared for full disclosure. By using the Barracuda Message Archiver's powerful index and tag search features, auditors and administrators can easily search an organization's complete email archive to compile relevant email based on keywords, dates, and sender/recipients to create an exported file. The Barracuda Message Archiver also lets administrators and auditors track access records and create policy alerts that indicate if a litigation hold or other custom policy related to the litigation has been violated. How does the Barracuda Message Archiver maximize the storage capacity? The Intelligent Storage Manager provides a comprehensive view of the amount of used and available storage. Once email has been filtered and any duplicates or attachments have been removed, the data is automatically compressed before storing it into a file system. With the use of single-instance storage, the Barracuda Message Archiver intelligently archives emails to maximize physical storage capacity. What if I exceed the storage capacity, can I also use an external storage unit? How do I manage that? The Barracuda Message Archiver starts with a generous amount of internal storage depending upon the model. Beyond the internal storage that comes with the Barracuda Message Archiver, the Intelligent Storage Manager in the Barracuda Message Archiver firmware assists email administrators in making decisions on various external storage configurations to either: concatenate volumes to add external storage capacity or to mirror storage for redundancy. If external storage is required for the expanding or adding redundancy to the email repository, the Barracuda Message Archiver can scale externally through the use of standard file systems that support the CIFS or NFS protocols. What types of data redundancy is provided? Depending on the model, internal storage redundancy is provided through either RAID-1 or RAID-5 swappable disk subsystems and can be augmented by mirroring volumes to external storage devices over the network. Can the Barracuda Message Archiver import historical emails? Yes. The Barracuda Message Archiver can archive emails from PST files, as well as active emails currently on an email server. To ease the archiving process for Microsoft Exchange servers, an email administrator can use Exchange Import from the Barracuda Message Archiver. For other standards-based email servers, the Barracuda Message Archiver supports the import of emails currently on the email server through both POP3 and IMAP. Can I export emails? What formats are supported? Yes. Designed to provide complete control over an email archive, the Barracuda Message Archiver can export emails in a variety of formats by all end users. Auditors are the only authorized users that can export emails of multiple users. How do users access the Barracuda Message Archiver? Users access the Barracuda Message Archiver through the web interface using their normal network access information through Active Directory or any other LDAP-compatible directory servers. In the web interface, users can search their personal email archives, view email in the archive, and forward email to their active mailboxes. Users are able to access their archived mail seamlessly via the Outlook Add-in. They can view, reply, forward, or redeliver the message. Barracuda offers mobile applications for Android and Apple devices, allowing secure access to user archived mail from mobile devices. What is included in the Energize Updates for the Barracuda Message Archiver? Energize Updates from Barracuda Central deliver updates on the extensive library of virus definitions to block virus and spyware variants, policy definitions to enable enhanced monitoring of compliance and corporate guidelines, and document format updates to stay current on document enhancements for decoding content, as well as security updates to ensure that the underlying Barracuda Message Archiver platform remains free of any potential security vulnerabilities. Energize Updates subscriptions also provide access to Basic Support, Firmware Maintenance and optional participation in the Barracuda Early Release Firmware program. How does the Barracuda Message Archiver reduce storage on Microsoft Exchange? The Barracuda Message Archiver uses journaling, PST collection, and historic import to collect all user email including attachments. This allows organizations to implement smaller user mailbox limits reducing the information store size. Once mail is archived, users can access their historic mail through the Outlook Add-In, web interface, and mobile applications. The Barracuda Message Archiver can stub attachments and entire messages from the Exchange Server leaving a small pointer to the Message Archiver, greatly reducing storage. Stubbed items are easily accessible from Outlook and OWA with no end-user intervention. Note that stubbing is a scheduled task that can be defined by the organization based on age, folder, size, and mailbox. What do I do if I have more questions, want to see an online demo of the Barracuda Message Archiver or purchase the Barracuda Message Archiver? For answers to additional questions, please contact us. The metered cloud storage subscriptions (BMAxxxb1) provide 1 TB of cloud storage. The mirrored cloud storage subscriptions (BMAa­b1) provide the same amount of cloud storage as the local storage on the appliance. For example, for a BMAI350 with 2 TB of local storage, the corresponding BMAI350­b1 subscription will also provide 2 TB of cloud storage. Customers can mix and match the two plans, as well as purchase multiple quantities.